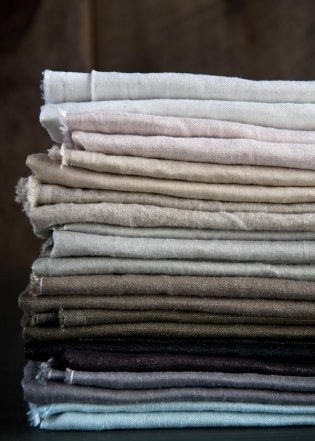 Purl Soho’s new collection of Mineral Linen is like a natural treasure, unearthed from deposits of shining stone. 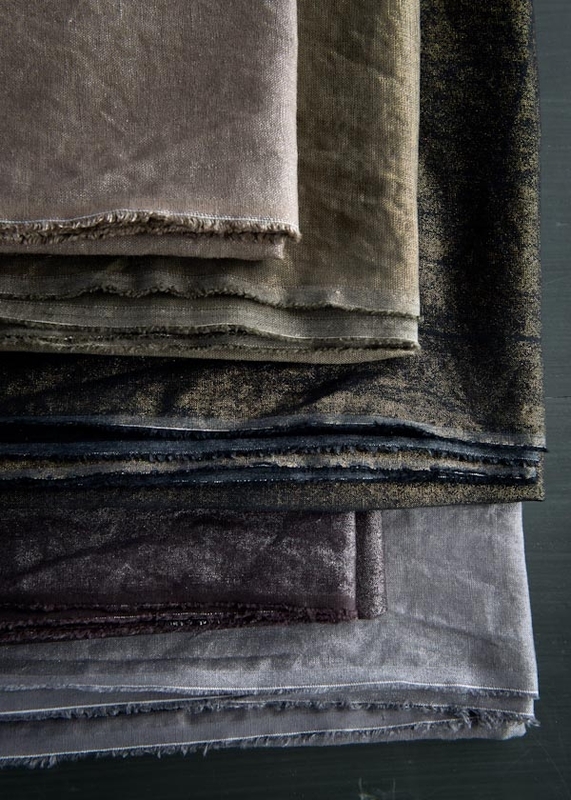 It starts with linen, raw and pure, and finishes with a metallic sheen, mysterious and beautiful. From moody Obsidian and Goldstone to effervescent Mica and Pink Opal, Mineral Linen comes in a palette of twelve colors, each with its own rustic elegance. It also comes in two weights, one lighter for garments and wraps, the other a bit sturdier for pillows and placemats. Perfectly suited for a wedding shawl or a holiday table, we also love to think about using this fabric in unexpected places: a casual dress, a textural shift in a quilt, or an everyday napkin with a spark of something special. 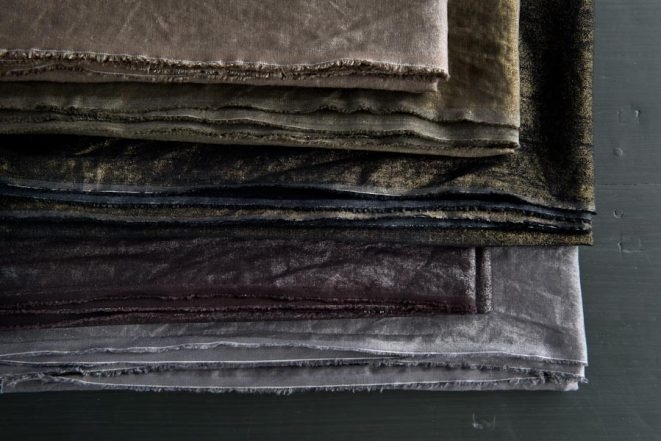 Mineral Linen turns the simple into the stunning. 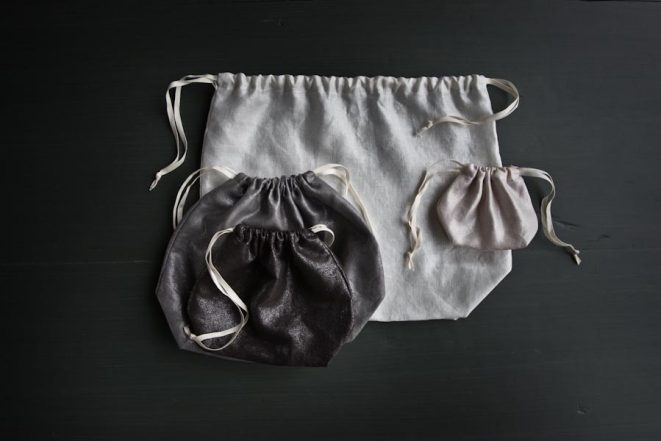 Case in point, our Easy Drawstring Bags! 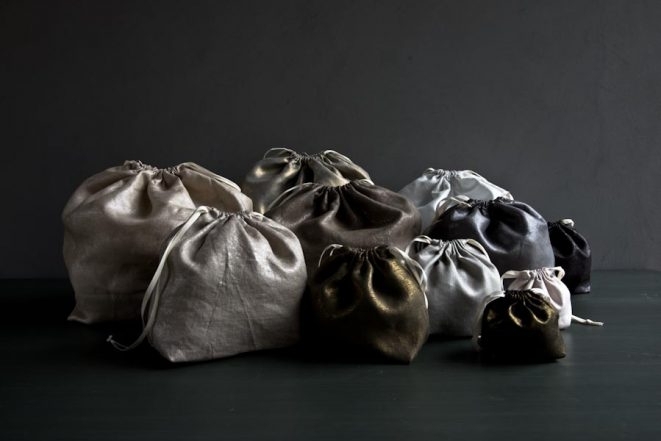 Extra pretty in Mineral Linen, these sacks are perfect for stashing jewelry, wrapping gifts, packing travel essentials, and of course, storing your latest project. Make your own with our free pattern and a few of your favorite colors! Be sure to browse our entire collection of Mineral Linen and let us know what you create! Can this beautiful fabric be laundered? Great question! It certainly can! We machine wash and dry this lovely linen! It will lose luster on repeated washings but if you like the look of a more muted metallic, you certainly can. 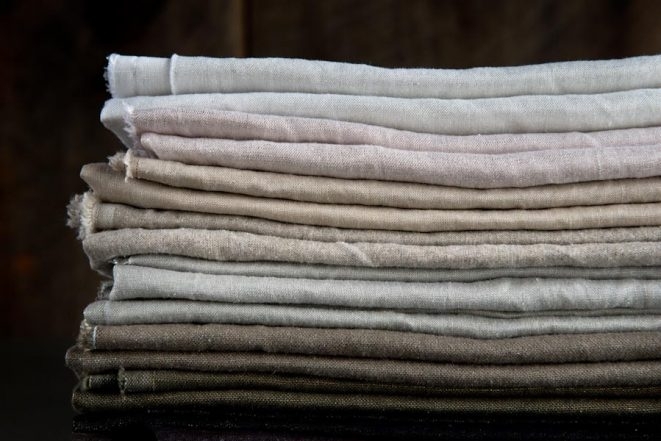 I wanted to update you with some information about our new Mineral Linen. The Mineral Linen is such a new and exciting fabric for us and we are discovering new things about it everyday! We have found that this fabric looks great after one to two machine washes, however, after that we highly recommend dry cleaning, just to maintain that nice metallic sheen. 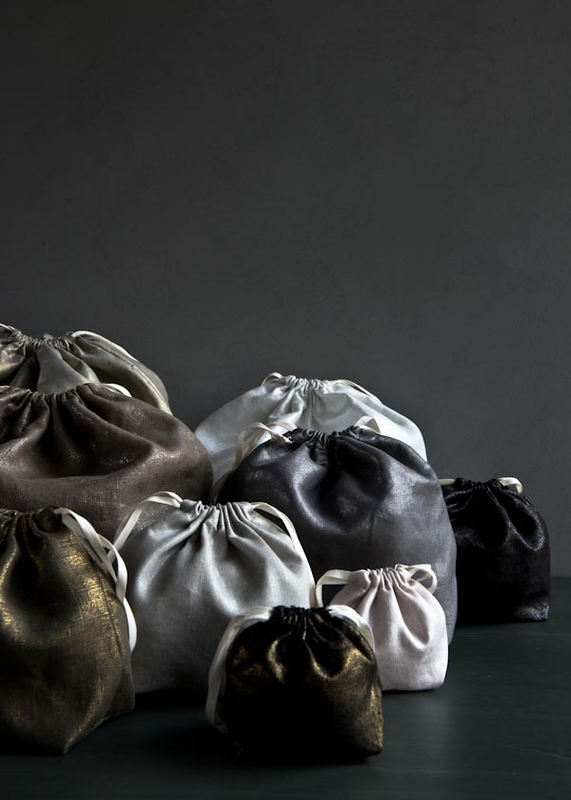 Thank you so much for your interest in our new Mineral Linen! Please let us know if you have further questions. How do we order between the two weights of fabrics? I see only one fabric weight listed and not sure if it is for clothes or place mats/etc. Great question! If you hover over each color and/or select a color by clicking on the thumbnail, it will tell you Midweight or Heavyweight. 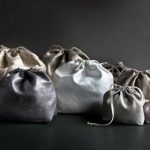 Currently, most of the colors available are midweight and we have 2 heavyweight colors (pewter and bronze). Hi, ohhhh, I love this stuff!! Is it pre shrunk? Thank you for your question! The fabric does not come pre-shrunk, you’ll want to wash it prior to sewing so that your stitches don’t pull. Please let us know if you have further questions! I just wanted to update you with some information about our new Mineral Linen. 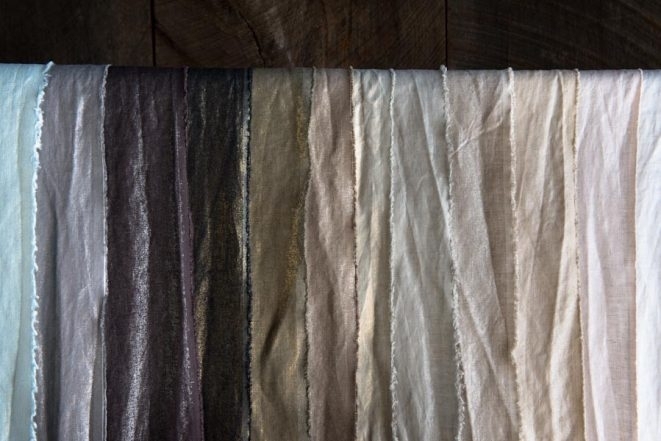 The Mineral Linen is such a new and exciting fabric for us and we are discovering new things about it everyday! We have discovered that this fabric looks great after one to two machine washes, however, after that we highly recommend dry cleaning, just to maintain that nice metallic sheen. 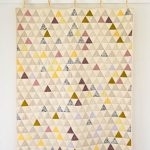 Thank you so much for your interest in our new Mineral Linen! Please let us know if you have further questions. Is it suitable for girl’s dresses and skirts? I would love a matching skirt/dress and drawstring handbag combo to sew for my daughters. Thank you for writing in! This fabric would be lovely for girl’s dresses and skirts! I adore your idea of matching handbags with dresses/skirts! You’ll have to send us photos! I just wanted to update you with some information about our new Mineral Linen. 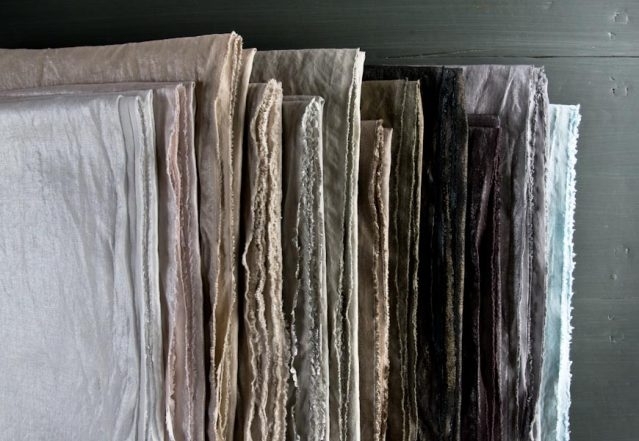 The Mineral Linen is such a new and exciting fabric for us and we are discovering new things about it everyday! We have found that this fabric looks lovely after one to two machine washes, however, after that we highly recommend dry cleaning, just to maintain that nice metallic sheen. Please let us know if you have further questions. How is the fabric processed to get the metallic look? Are there true metallic components to the fabric? Thank you for writing in! This is a great question and we are currently looking into how the fabric was processed to get the metallic sheen. The Mineral Linen is 100% Linen so I do not believe that there are any true metallic components to it. In the meantime, if you have further questions please let us know! Can I order swatches? And, how many times did you launder the linen? Some of the photos do look as if they’ve been washed at least once. Thanks! Gorgeous fabric! Thank you for writing in! Unfortunately, we don’t have swatches available, but we do sell the fabric in 1/4 yard amounts! We laundered the linen once. Again, thank you for your question! Please let us know if you have further questions! I just wanted to update you with some information about our new Mineral Linen. The Mineral Linen is such a new and exciting fabric for us and we are discovering new things about it everyday! We have found that this fabric looks great after one to two machine washes, however, after that we highly recommend dry cleaning, just to preserve metallic sheen. Thank you so much for your interest in our new Mineral Linen! Please let us know if you have further questions. 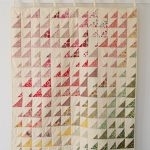 This is amazingly beautiful…I would like to make a tablecloth. What width does the fabric come in? Thank you for your kind words! This width on this fabric is 58-60 inches. Do you have a simple dress pattern you would reccomend for this gorgeous fabric. Would it work with any of the other patterns that call for linen on your site? Thank you so much for writing in! Our new Mineral Linen will work with all of our patterns that call for linen. You could also use the Mineral Linen on for our Wear Anywhere Tunic or our Sewn Raglan Shirt Tunic Dress. I also think the Mineral Linen would be great for our Linen Tunic with Gathered Shoulders. Pair that tunic with a our Gathered Skirt for All Ages and you’d have a beautiful outfit! Let us know what you think! Thank you for writing in! 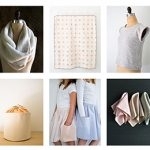 The uses for our new Mineral Linen are almost endless! It would be great for our Pom Pom Scarf, the Long Pom Pom Cowl or even our Running Stitch Scarf!. For garments this linen would make a lovely Tunic with Gathered Shoulders or a light summer version of our Felted Wool Vest. And for around the house you could use the Mineral Linen for our Cross Back Apron or even our Classic Mitered Napkins or pair it with a Liberty of London print and make these beautiful Liberty Tea Towels. What is the shine made of? Is it actually natural mineral that would be GOTS certifiable ? Thank you for your interest. The fabric is not made with natural minerals and is not GOTS certifiable. Please let us know if you have any other questions. Will pink opal and sterling be restocked? I’m so sad I missed out on those colors as they are just gorgeous! Thanks for writing in! Both of these fabrics should be restocked in the future. To be notified when then do, select the color on the product page and click on Click here to be notified when this product is back in stock. We will send you an email when we have them back on the website! I wondered if this fabric is available in the UK anywhere. Last year someone asked about the process that makes it “mineral”. I’m still curious about that! What gives it that lovely metallic shimmer? Thank you for writing in! The shimmer is applied as a silk screen on top of the woven linen! As such, we recommend dry cleaning finished items and pressing or steaming them on the wrong side. 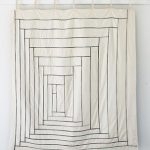 can this fabric be used as drapery/window coverings? You could use this for window coverings it would be stunning, you would just need to line them with a similar weight lining. A question- is there a way to order a swatch? The pewter color appears more gold than pewter. The only option appears to be a collection of the 12 colors in a fat quarter size. Thanks for reaching out! Unfortunately at present we do not offer swatches of our fabrics; however, if you are only interested in seeing one or two colors, you can order as little as a quarter yard of any of our fabrics. 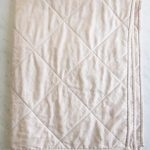 It seems it has been a few months since I asked to be notified when two of the mineral linens are back in stock. I’ve noticed the price drop and wonder if these are being discontinued. If not, is there an anticipated date those “sold out” will be available? I am so sorry for the long delay – a few colors of Mineral Linen have been back ordered, but I assure you they are still on their way! We don’t have an exact time frame, but they should hopefully arrive very soon!